A recent documentary explored the mindset of former extremists and posed the question what attracted you to believing in ‘jihad’? IT IS ONE of the most urgent and pressing questions of our time – why do some people desert their homes and their loved ones for the opportunity to fight for a cause abroad? The recent tragedy in Tunisia has focused minds on extremism in other countries but Britain too has seen a number of its own citizens leave the country to fight with, or join extremist groups in Syria and Iraq. 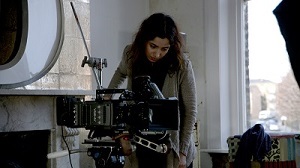 Deeyah Khan, an award-winning filmmaker, has tried to get to the bottom of what lures Britons to fight, interviewing former extremists about their motivations, in a programme called “Exposure: Jihad – A British story” broadcast on ITV just over two weeks ago. She also spoke to young British Muslims about their feelings for their country and their sense of identity in the West. Khan told www.asianculturevulture.com what led her to investigate the reasons why some Muslims are receptive to the message espoused by extremists. She said: “I was born in a Western country and my parents are Muslim, so I come from a similar background and have always been curious about why this movement is growing and getting such a grip on our young people here. “A lot of people would say, ‘it’s ideology, it’s politics.’ There’s no way that’s the only reason. In the film, she does intimate that the extremist message sometimes makes more of an impact on those who are already suffering some level of personal psychological conflict. She described: “I spoke to people who used to be in the IRA and in other gangs and found a lot of the reasons why our young people are drawn to the various Jihadi movements are not that different. Since the programme aired, the debate has widened and her documentary allowed people to better understand what leads some to radical paths. “I heard from somebody who had crawled through the wreckage on 7/7, who said his world view was so defined by that, but had changed his mind about Muslims after seeing my film. 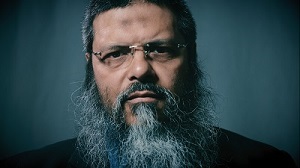 Perhaps one of the most telling aspects of “Jihad – A British Story”, is the insight viewers are given into the reformed extremists’ minds, with many finding it very difficult to face up to their past lives as jihadists. “There’s not many people who have it in them to be so honest and to allow people to see them as vulnerable,” explained Khan. “I have so much respect for them, especially Abu Muntasir, whom the film focuses heavily on. One of the most uncomfortable parts of the film was how many of these former Jihadists also cited a lack of belonging and had experienced racism from a young age. Khan picked up the point quickly: “Our governments need to get much better because right now they’re failing. She said more needed to be done at a community level too where young Muslims cannot share problems or discuss issues with their families or community leaders. Khan said: “A lot of our community leaders have also failed because they don’t want to engage with the issues that we go through. And increasingly, these young people vulnerable and susceptible, often face hostility and derision from the wider non-Muslim community and their sense of alienation is only further exacerbated. “It’s the same thing in the larger white communities where we also don’t measure up and aren’t considered good enough because we don’t meet their expectations. “We have to create a third space, which does include us. Where we can flourish and encourage more understanding, so that parents can get better at embracing their children for who they are. Khan said this is where Jihadi groups are very convincing. Speaking before the tragedy in Tunisia, in which 30 holidaying Britons were shot dead on the beach by a suspected Islamist inspired fanatic, Khan expressed optimism about the future. She said: “When I started making this film, I was not very hopeful at all to be honest, I didn’t think there a lot of solutions or ways out of this. Desi Rascals 7: ‘I’m going to Mumbai! Unbelievably individual pleasant site. Astounding information offered on few gos to. You’ve among the best online websites. Hi there, great web page you have got right now.